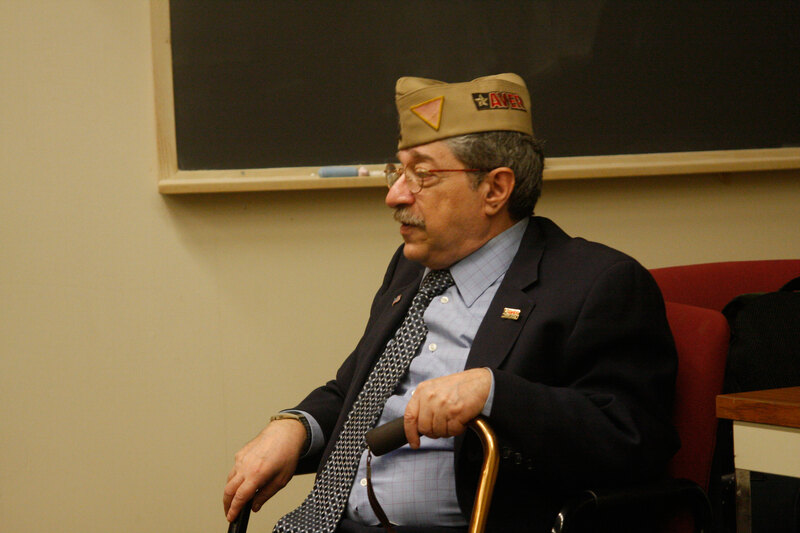 On March 30th, 2015, Tufts ALLIES hosted a lecture from Mr. Denny Meyer on “LGBT Service in the Military: Past, Present, and Future.” Mr. Meyer works with American Veterans for Equal Rights (AVER), and is a gay Vietnam veteran with decades of experience. Over a lifetime of activism, he has fought for gay rights, women’s rights, transgender rights, and LGBT veterans’ rights. He currently serves as the Region 1 Vice President of AVER. During the event, Mr. Meyer spoke about his own experiences, as well as those of his fellow service members.